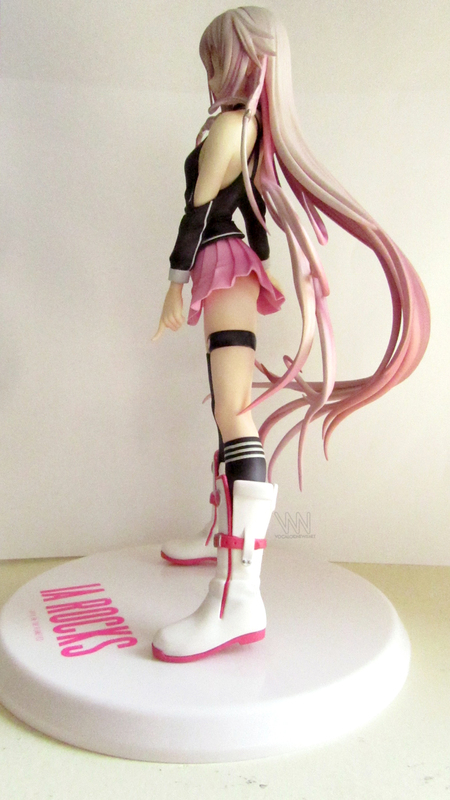 I (Monds) did a review of the ONE figure not long ago, and it seems a lot of people liked it! 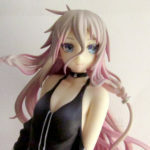 This time, I will be doing a review of the IA ROCKS figure. 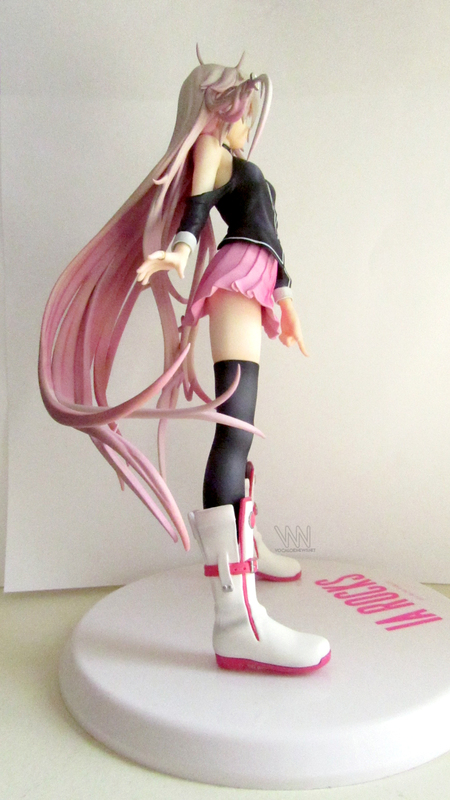 The figure is based off of the IA ROCKS boxart, and it does a good job at portraying it as well. 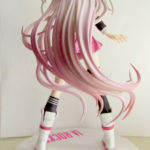 Her long wavy hair that looks like she is shaking her head around makes for awesome hair on a figure. 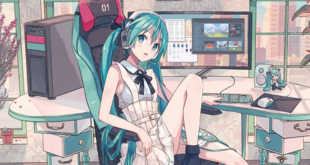 Her hair has all the fading/reflection just like the boxart has, going from a light to almost white pink, to a darker pink along the way. 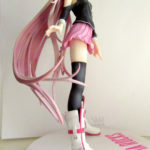 Also, her hair is made of softer material, this is good since some of her hair points are quite thin, with a softer material, it doesn’t feel like the piece of hair will break off if accidentally hooked on something. 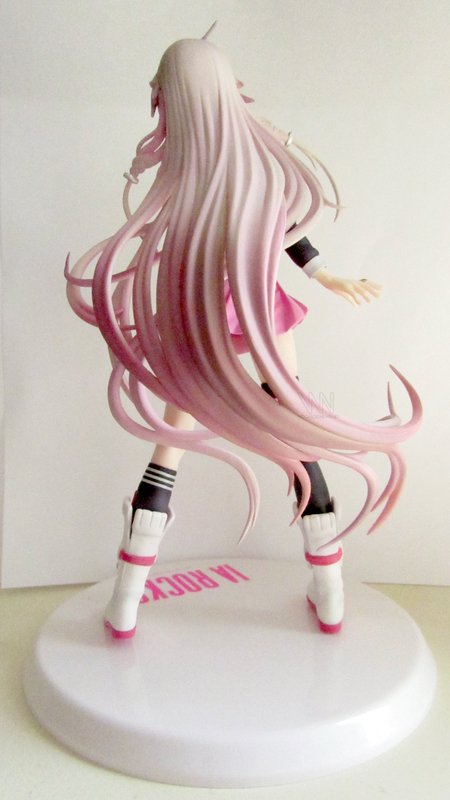 I have had some figures in the past where the hair was a harder material and I felt like any little touch of it would make the tip snap off. This is not the case here. 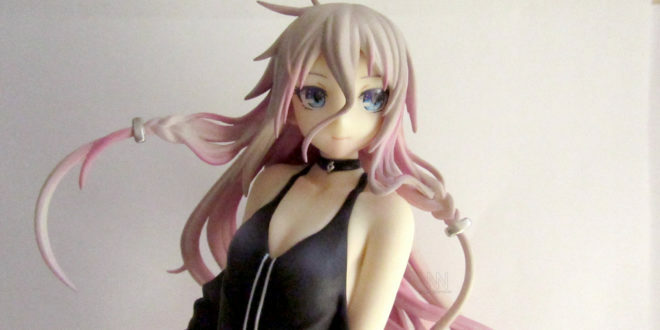 As for her outfit, all the details you would expect to be on IA are there and clear, from the ring on her finger to the choker on her neck. Her colour pallet is as it should be and is true to her colours. 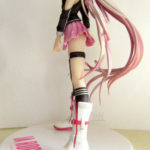 Sometimes with lighter colours like pink, it can be either too light or too dark. 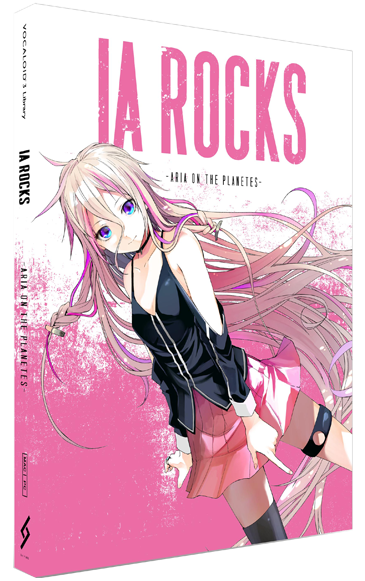 One thing I find a bit odd on the stand, is that the IA ROCKS logo is not exactly straight in the center of her, it’s in an angle. Not sure if this was by design or it was just overlooked, but it is a bit odd, especially if you like things to be centered like myself. Not really a complaint as much as an observation that I found a bit strange. 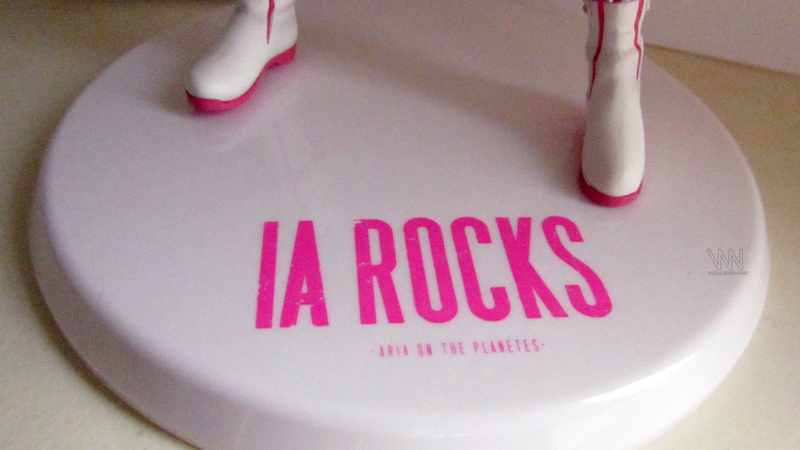 On the other hand, it looks as if IA is pointing at the IA ROCKS logo to say,” Hey look! 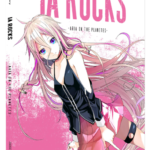 I am IA ROCKS, SEE!”. Aside from that, it is just a regular white stand. 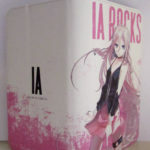 This figure also came with a universal phone case with the IA ROCKS logo and boxart, it is held closed by a magnet, which may not be the most efficient way to keep it closed if you are one to constantly take it in and out of your pocket, a button would of been stronger but less efficient. 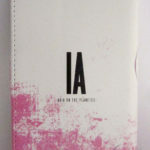 The case itself is pretty tough though, and would easily protect your phone from a fall. 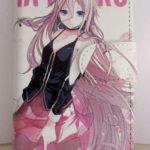 It also has a few card slots inside if you would like to use it more as a wallet. The material and print is quite nice as well and doesn’t seem like it would rub off or get ruined very easily under normal usage. 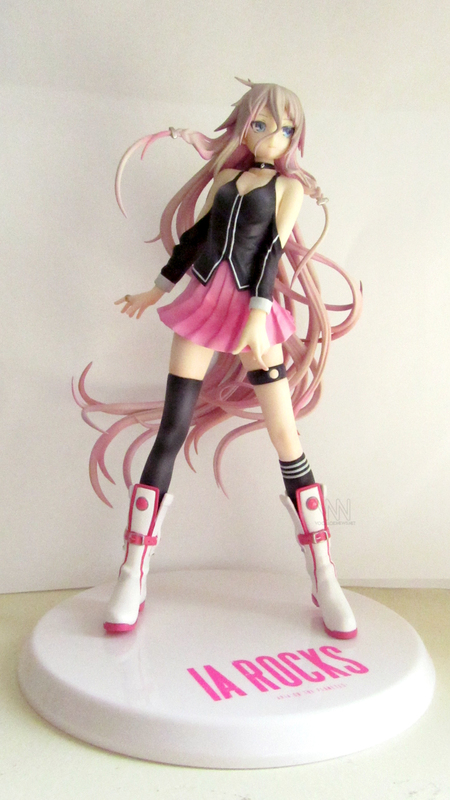 Overall, if you are an IA fan and/or loved the ONE figure last month, this is a perfect addition to your collection. 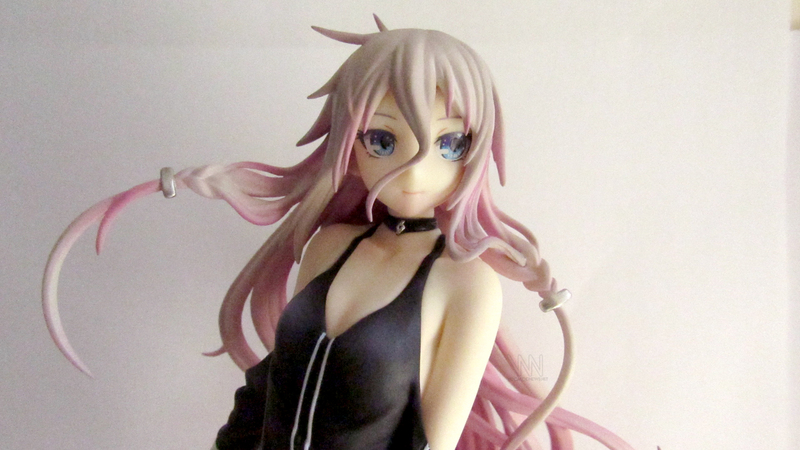 Especially since there isn’t a whole lot of IA figures out there to choose from yet, but this one is definitely worth it. 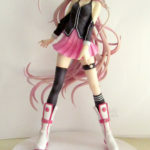 If you still would like to purchase this figure, it is not too late! 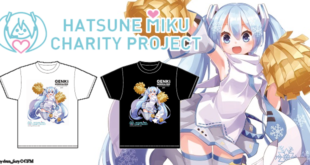 You can still find them available on many shops online. 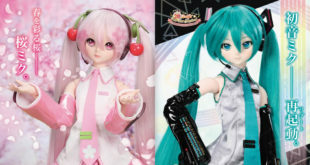 AmiAmi also still has the bonus exclusive edition for ¥13,824 JPY ($126 USD) that includes the case above! If you would like to check out my ONE review, you can check it out here. Previous VNN Interview with AVA!